I love wearing colour however I always feel happiest in black and white. A simple monochrome outfit doesn't have to look dull and by choosing pieces in unusual shapes and cuts you can still achieve the wow factor. A favourite discovery of mine is monochromatic London brand Twist and Turn. 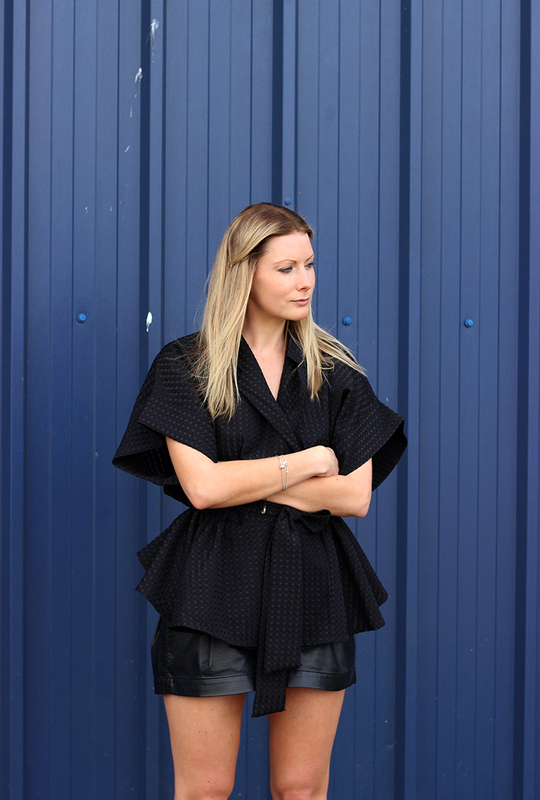 The street style inspired range with pop-rock attitude designs beautiful origami pieces for everyday wear. Their wrap blouses and pleated dresses are some of my go to pieces. Perfect for this warmer weather! Hop over to the Twist X Turn website to check out their Summer collection or pop into Topshop Oxford Circus.